To provide quality training at both the in-service and recruit levels through comprehensive and innovative educational practices. 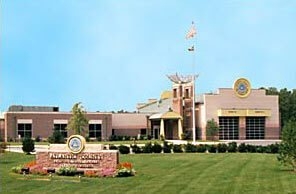 The goals of the Atlantic County Police Training Center are to provide quality training programs focusing on the essential skills necessary to serve effectively as law enforcement professionals. We recognize the fact that training is a key component in developing a professional law enforcement community and are committed towards that end. To attain that goal, we shall continue to offer a wide variety of credible and up to date programs. These courses are designed to enhance the abilities of the individual officer as well as promote team building skills. They are selected and developed with a focus on officer survival and building a strong police-community partnership.